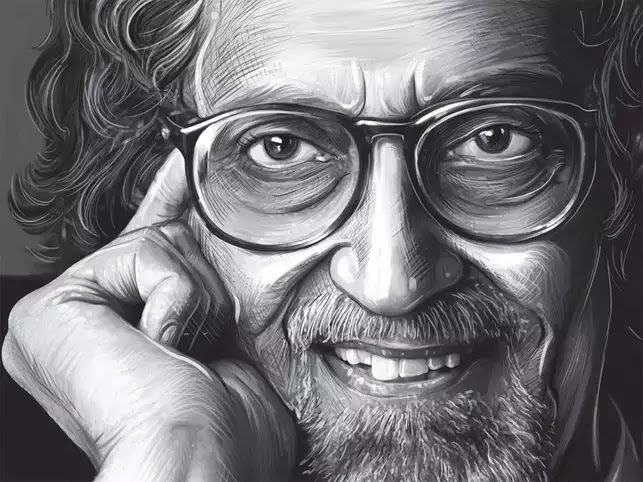 Alyque Padamsee was a celebrity, an important member of the South Bombay elite that rules India through an intricate network of connections controlling all spheres of human activity by rigid social hierarchies. This is old money that understands the power differential in the Indian society and wields power efficiently and imperceptibly. 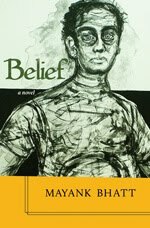 Padamsee was able to rise about his social privileges and transform himself into a man of the masses. He was a legend in his lifetime; at one time called God by admirers and acolytes who were by and large agnostic, atheist or not particularly religious. While his contributions to the world of advertising are stuff of Indian advertising folklore, his contribution to the idea of India and India’s secular ethos are what I find endearing and substantive. I didn’t know Alyque Padamsee personally. But I met him once in April 1998 for an interview for the Satellites over South Asia, project. It was an Institute of Development Studies, University of Sussex, project that explored the broadcasting revolution in South Asia. I was involved with unraveling the economic and commercial aspects of this revolution (my research paper was called The New Media Market) and talking to Padamsee was critical to understand how advertising industry influenced television content. William Crawley, the co-coordinator of the project accompanied me to the interview, conducted at the Sea Lounge restaurant of the Taj Mahal Palace hotel (the original Taj). Both William and David Page, the other coordinator, were former BBC journalists. One of the main aspects of our project was to understand the impact of advertising on television, and whether commercialization would also help sustain socially relevant broadcasting that reflected the Indian reality. A great example before us was Govind Nihalani’s tele serial Tamas, which was critically acclaimed and popular with the masses. William and I (and for that matter the entire team that worked on the project) were skeptical whether advertising would support good television rather than take the easy route of chasing popular programming. 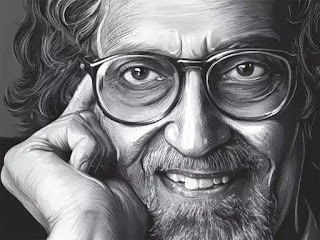 Padamsee, of course, didn’t share our concern, and on several occasions, the conversation became heated. I reproduce below a brief extract of the interview just to give an idea of the testy exchange. Crawley: One percent of Indian population is a huge number in global terms, but it does not mean that their lifestyle as shown on television commercials is the lifestyle of common Indians. Padamsee: No, I don’t mean this. The advertisement on television shows you variety. The farmer’s lifestyle, for instance. The tractor commercial, the fertilizer commercial. I have made tractor commercials for Escorts which show the changes taking place in the lifestyle and working methods of the farmers. Crawley: It’s not a glamorized imagery? Padamsee: It’s always glamorized when you are selling products. Glamourized yet but not untrue. The farmer’s field is better kept, the village is somewhat cleaner, doesn’t have so much cow dung lying around everywhere. In that sense it is glamorized. But his aspirations, more or less his lifestyle are reflected. Crawley: The question is: has the advent of satellite television changes the way in which people watch television and the way in which it impacts the society and the way in which advertisers watch television? Padamsee: I would say the biggest thing about television is the way in which it has changed people’s perception of what they can be. I have found that where ever TV is frequently watched, not only people’s lifestyles, but needs begin to change. You might say, ‘Aah, but that’s terrible, they are being urbanized’. But the whole world is being urbanized…it is marvelous that everything is getting urbanized. I am sure there are several bad points about urbanization, there is pollution and all sorts of things. But in India, pollution is as much a village phenomenon as it is an urban phenomenon. You can smell it half a mile outside of any village. There is just no system. An Indian village, I am sorry to say, is one enormous slum. There are no latrines. People defecate in gutters. There is no drainage system. There is nothing, You just go to one of the 600,000 villages in India to know that. Bhatt: This is precisely what I want to understand from you. Advertising has defined television as it is today. And yet, it doesn’t show anything that you are talking about. Padamsee: What am I talking about? Bhatt: A village in India is nothing but a glorified slum. Padamsee: Obviously you can’t show that, advertising is there to sell goods. Bhatt (interrupting): You are also known for social consciousness advertising. And that is something that one doesn’t see on television in the post-satellite revolution. Padamsee: It’s there in the news reels. Advertising’s business is not to show ugly reality, it is to show beautiful dreams. That is the purpose of advertising throughout the world. People in Nike shoes commercials are always beautifully muscled. They are not shown as scrawny and straggly, which most people are. Bhatt: But shouldn’t advertising be directed towards particular kind of programming also? Bhatt: It was possible for Govinf Nihalani to make a serial like Tamas before the satellite revolution began. Would it be possible for him or someone else to make a similar kind of serial today and show it on one of the major channels? Padamsee: Oh yes, I think so. If you have got your sponsors right. Some companies have a certain outlook. Say the Tatas, for instance. Or I would even say people like BPL, who are quite serious about their image and would bring classical music to television or bring a heart surgery to India or would sponsor a medical conference. There are lots of advertisers who have what you might call a philanthropic outlook. But you can’t expect people who are in the business of selling goods to show farmers in ugly light. Bhatt: Which is the ‘real’ light. Padamsee: But still ugly. The farmer does not like it. I have made films for Hindustan Level before the advent of television. These were very realistic film but were rejected by the larger audience they were meant for. The criticism about advertising does not take into account what advertising is all about. Advertising is not documentation. Yes, we need documentary film makers and excellent ones as that, like perhaps Govind Nihalani. Padamsee was aware of his celebrity status and took it rather seriously. It was mid-morning and the restaurant had a few regulars coming and going, all of them duly nodding at Padamsee in acknowledgement and on occasion briefly stopping by at our table to indulge in light banter. Not once did Padamsee lose patience, and not once did he waver from his conviction that the purpose of advertising was to sell. It was a cracker of an interview, and although it was meant for the project, I couldn’t resist the temptation of getting it published. My friend Sambit Bal, at that time the editor of Gentlemen magazine published it in its entirety.